We’re excited to have teamed up with nationwide commercial real estate listing platform Quantum Listing to give SharpLaunch clients the possibility to syndicate their listings to the new nationwide commercial real estate listings portal. The new partnership will enable SharpLaunch clients to expand the digital footprint of their properties by syndicating their commercial real estate availabilities to the nationwide CRE listings portal that accommodate all major asset types including: Office, Retail, Industrial, Multifamily, Medical and Land. QuantumListing does not have a paywall for searching listings, so everyone is welcome to find the information need to contact the listing agents and owners to do deals more efficiently. 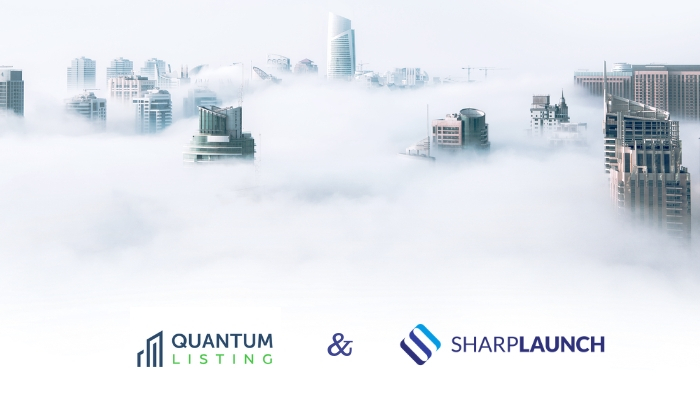 “The syndication partnership with SharpLaunch is another important step toward our goal of making QuantumListing the go to solution for marketing and searching commercial real estate online. The relationship between SharpLaunch and QuantumListing benefits not only the two companies’ customers, but everyone in the commercial real estate community, including tenants and investors, by making more listings freely available through our rapidly growing service,” said David Perlmutter, Founder of Jeomark LLC, QuantumListing’s parent company. “We are pleased to partner with Quantum Listings and through our integration help SharpLaunch customers extend the visibility of their listings on a growing, nationwide CRE platform.” Bob Samii, CEO of SharpLaunch. QuantumListing is a full-feature, value-priced, nationwide commercial real estate listing platform that provides a clean, easy-to-use interface on its website and iOS and Android apps. QuantumListing membership also includes a streamlined social media sharing interface, serves its members’ listings to their company websites, and adds each member to a geographically based network, making it easy for them to stay up to date on changes in their market. All of these services are for the competitive price of $79.99 per year, with the first three months free.